Rory McIlroy told us two weeks ago that he was toying with the idea of joining the PGA Tour next year. It's a turnaround from what his manager Chubby Chandler said in Tucson in February when the young tyro showed American golf fans exactly what all the fuss was about. At the time we were told that the world, not America, was Rory's oyster and that Chubby didn't want his golden boy to be dictated to by the PGA Tour and its 15-event minimum. Now the game has changed. McIlroy is a far hotter property than he once was and he loves it in the US. No doubt the European Tour's George O'Grady is not at all happy about the prospect of losing one of his biggest assets in a Ryder Cup year when having the best players as often as possible is a major selling point when you are renewing contracts with cash-strapped sponsors. McIlroy has until Dec 1 to take up an option he says might not be there forever. But by that stage he could well be the first winner of the inaugural Race to Dubai and while his father Gerry will give him sound advice, it is the youngster and Chandler who will decide. You get the distinct impression that a decision has already been taken to try America, despite the risks. No doubt, Chubby will remember what happened to Graeme McDowell in 2005-06, when his young Ulster property took the US route, ran off the Ryder Cup road and was reduced to a commentator's role at The K Club. McDowell would be the first to admit that McIlroy is a different animal all together. But the maths and the logistics seem irresistible. The Holywood talent played 11 events on the PGA Tour this year, leaving him just four tournaments short of the 15-event minimum. In fact, when he plays the WGC - HSBC Champions in November, that will leave just three. Three events? He could afford to skip Harbour Town next year and play all four FedEx Cup play-off events instead - $10m was bound to get an agent's attention. Had he been a member of the PGA Tour, McIlroy would have earned 617 FedEx Cup points during the regular season and qualified easily for the first two play-off events. He would have had nearly twice as many points as Heath Slocum, who scraped into The Barclays as the 124th of the 125 qualifiers, won the event and finished up eight in the FedEx Cup standings. What would have happened had McIlroy had the chance to tee it up in the Barclays? Who knows. But the Vivendi Trophy was certainly the winner. After playing the Omega European Masters and an appearance money gig in Korea while Tiger and Harringto battled away in the first two playoff events, McIlroy remembered in Paris that he loves team golf and matchplay. Ryder Cup skipper Colin Mongtomerie wants him to lead his European side at Celtic Manor and with just four players qualifying for his team via the world rankings, McIlroy will be putting himself under a little extra pressure by going to America. Padraig Harrington, Paul Casey, Ian Poulter, Justin Rose and Luke Donald are already there. Will McIlroy join them? What's he got to lose? 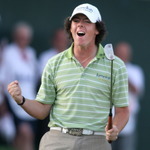 Race to Dubai leader Rory McIlroy looks certain to chase the American dream by taking up PGA Tour membership next year. Three weeks ago, McIlroy admitted that he was thinking seriously about playing on both sides of the Atlantic. Now it appears that he has made up his mind, though the official announcement will not come until the eve of the Dubai World Championship on November 18, two weeks before the PGA Tour's application deadline. ISM's Chubby Chandler has told the SportsBusiness Journal that Rory McIlroy will not be pursuing the American dream next year. 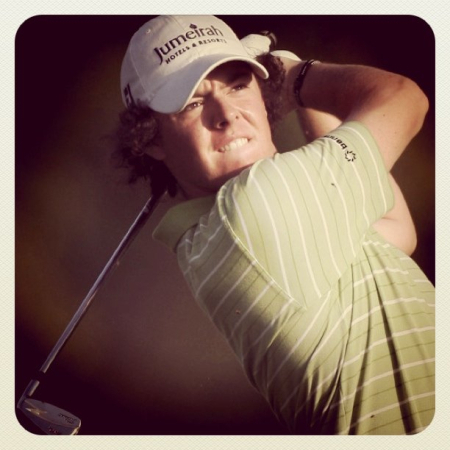 "Rory has decided not to join the PGA Tour in 2010,” Chandler told the American organ by e-mail. It took more than a year for the penny to drop but Rory McIlroy has finally decided to heed the advice of his manager and turn his back on the PGA Tour.